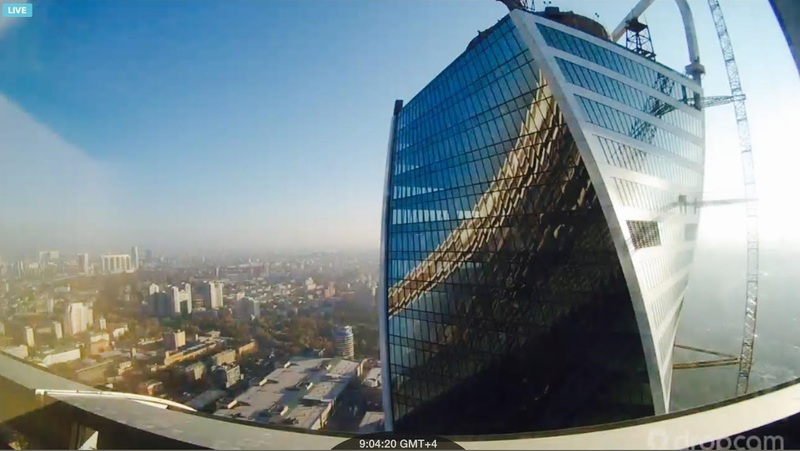 We heart Moscow has launched an online HD camera on a skyscraper in Moscow City. This webcam, mounted in Moscow City Business District (Presnenskaya naberezhnaya 6) provides a view on Evolution Tower, Presnensky District, Ostankino TV Tower and a small part of Kutuzovsky prospect on the right. Broadcast is sponsored by Ligerion Group. Currently the broadcast is available only on computers. However, new cameras will appear soon for you to watch Moscow online!